Newly hired senior offensive assistant Todd Downing is making his return to a team and state where his NFL career began 17 years ago. While pursing his dreams at the University of Minnesota Downing began his coaching career at his former alma mater Eden Prairie High School as an assistant coach. From there he began his NFL career working for the Vikings under coach Mike Tice as a research and development intern. Downing spent a total of 5 seasons in Minneapolis before moving on with his career. Downing continued his NFL journey with stops in St. Louis, Detroit, Buffalo and most recently in Oakland. The time spent with the Rams led to a couple of seasons as the defensive assistant. It was not until with the Lions where his true calling was discovered on offense as the quarterbacks coach. Downing held that same position his first couple of years with the Raiders until former Vikings linebacker and ex head coach Jack Del Rio named him offensive coordinator for the first time in his coaching career last season. Vikings fans should be happy to know Downing brings a pedigree of establishing young quarterbacks with him to Minnesota. Under Downing for 3 seasons in Detroit, Matthew Stafford averaged 4,900 yards passing with a 30-17 touchdown to turnover ratio. Stafford also brokeout and passed for over 5,000 yards, ended a 12 year playoff drought and helped Calvin Johnson set the single season receiving yards record. Much of the same happened again in Oakland when Downing took over and had Derek Carr at quarterback. The Raiders were able to break a 14 year playoff skid during his time as well. Carr was able to pass for nearly 8,000 yards with 60 touchdowns to 19 interceptions and was selected to the Pro Bowl twice with Downing as his coach. The move to Minnesota does have an interesting tie for Downing and his current co-offensive coordinator John DeFilippo. Prior to Downing coming over to Oakland, DeFilippo was serving as the quarterback coach before his move to Cleveland for their vacant offensive coordinator position. Now the two finally come together under head coach Mike Zimmer to give the Vikings a young set of offensive minds who have succeeded at nearly every stop along the way. Stafford, Carr, Carson Wentz, Nick Foles are prime examples of franchise quarterbacks who have been groomed by the two coaches. Me and every other Vikings fan should be more than excited at the chance to finally get our quarterback of the future under Downing and DeFilippo. The numbers and accomplishments of the quarterbacks and offenses that have been put up along the way under Downing speak for themselves. 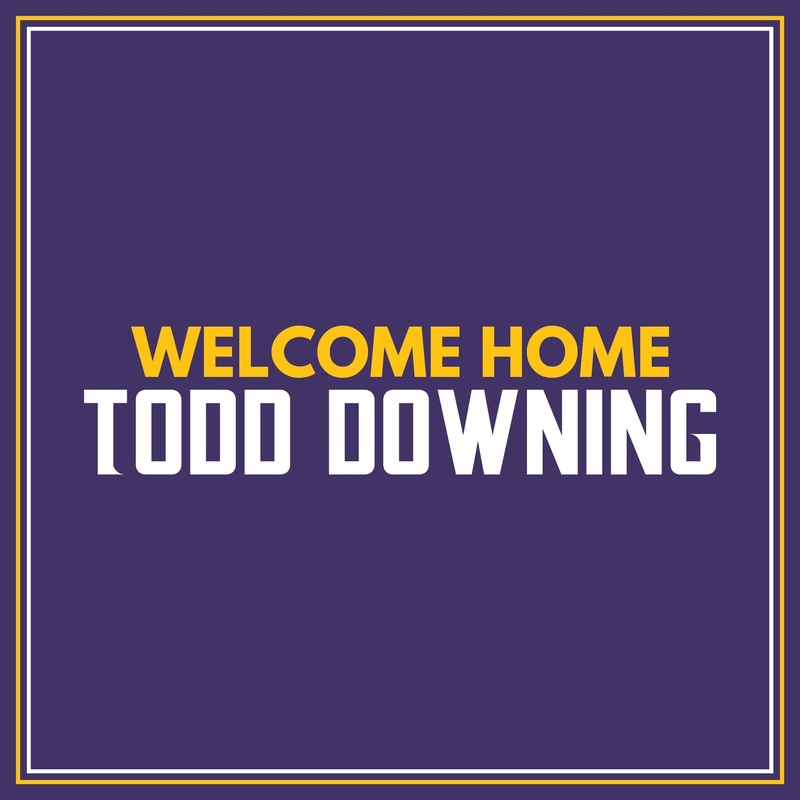 There’s a lot of reason for hope and optimism as a Vikings fan for the next couple years or decades with Downing in the building. All I can say is welcome back home coach but now it’s time to get to work.